Today is Jumpstart’s Read for the Record Day! To promote early childhood education and highlight the importance of literacy for all, Jumpstart is bringing millions of adults and children together today to read the children’s book, Otis. Together, we can set a worldwide record for reading the same book on the same day, and engage millions of children. 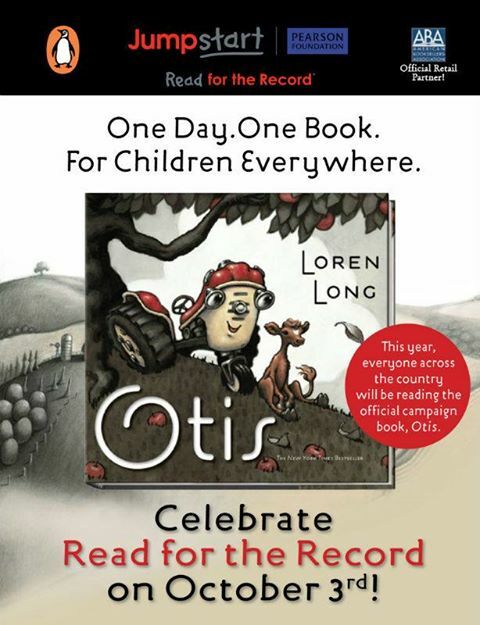 Last year, over 2.3 million people participated in Read for the Record Day. This year, make sure you’re one of them, and do your part to voice your support for early childhood education. For more information on Jumpstart’s programs, visit their website.